Many patients, especially teenagers and young adults, have a problem with the appearance of very bright white spots on their teeth, often in the front of their mouth, which may affect their smile. These spots, or areas of hypo-calcification, often appear after the removal of braces; the orthodontic brackets tend to retain food and debris/plaque, which may break down the outer enamel, softening and discoloring this layer of tooth structure. 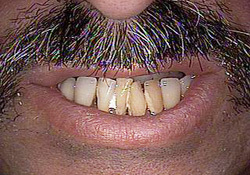 Others may have this white-spot problem over most of the outer surface due to a developmental issue of the enamel. 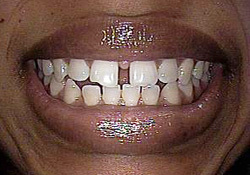 In any case, this issue makes the enamel softer, more prone to breakdown/decay, and an unsightly appearance. 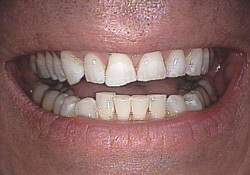 There are a number of techniques to help with both the structure and appearance of the enamel. In some cases, the use of MI paste seems to have some value in strengthening the tooth, but requires frequent use and has had limited success in eliminating the major discolorations associated with the decalcification. The most effective and most conservative treatment involves the use of composite resins in combination with limited resurfacing to eliminate the affected tooth structure and bring the tooth to its natural color. 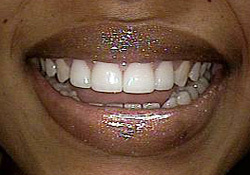 This is accomplished by the dentist lightly sanding off the white areas with a diamond-impregnated bur and/or sandpaper disc – without the need for anesthetic – and then filling in the preparation with a matching composite, feathering the edges and finishing the material with a clear bonding material that leaves a beautiful shine and reflection. In this way, the filling is indistinguishable from the natural enamel, allowing the patient to be proud of their teeth and smile. 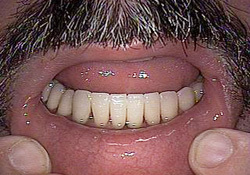 In more extreme cases, where the entire tooth surface is stained, either very white or even very discolored. 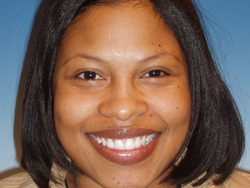 porcelain veneers may be the treatment of choice. 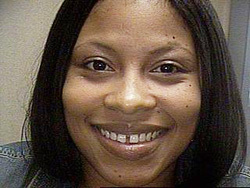 (The dark-stained tooth may be related to medications like tetracycline taken at a very early age/stage or environmental factors). Very thin porcelain coverings (.5 – 1 mm) may be placed over the teeth with little-to-no preparation (depending upon the depth of the staining), resulting in a very natural look. 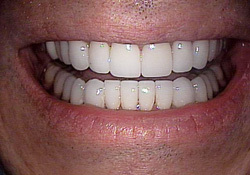 In any case, as can be evidenced by the “before and after” photos exhibited here, the problem of white spots and/or discolorations can be handle efficiently and conservatively, most often in just a single appointment, resulting in a confident and beautiful smile!